A new perspective in Pauline scholarship is represented in this volume. This perspective is readily distinguishable from other interpretations of the apostle, including the collection of views now formally recognized as “the (!) New Perspective on Paul” and, all the more, the views mounted in opposition to it because of the New Perspective’s challenge to major tenets of traditional Christian interpretation. I’d known for sometime that Nanos and Zetterholm were collaborating on a new book about Paul, but it wasn’t until I read Toby Janicki’s brief review of the book in the current issue of Messiah Journal that I discovered it had already been published (back in January, actually). Throwing caution and my credit card to the winds, I quickly purchased it at Amazon and downloaded it to my Kindle Fire. There are nine individual contributors to this volume, including Nanos and Zetterholm, and while they all operate within what has been termed the New Perspective on Paul (more on that in a minute), they aren’t in total agreement with each other. So much the better. Generally within any discipline there is not unanimous agreement on all points, which invites discussion to hone what we can learn in said-discipline. 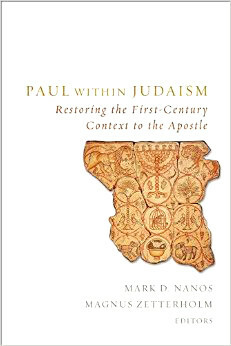 I’m optimistic that because of this “honing,” “Paul within Judaism” will bring into sharper focus who Paul was within his first century Jewish framework as the emissary to the Gentiles. Since I’m facing nine separate essays inspired by “a session entitled ‘Paul and Judaism’ at the Society of Biblical Literature in 2010” plus an Introduction, I intend to review each essay as a stand-alone presentation. That means yet another multi-part review for me to write and offer to anyone who wishes to read them. …profound discontinuities arise between the Paul constructed in this new paradigm and the theological traditions constructed around Paul in the past. I should say these past-constructed traditions about Paul are equally applied by Christianity and normative Judaism, the former to justify reinventing an ancient branch of Judaism as Gentile Christianity, and the latter to condemn that invention and Paul along with it. However, a Christianity and Judaism that clings to such erroneous and yet enduring traditions on the Apostle results in their failure to see Paul as perhaps he truly was: a Jew operating within a Judaism that was devoted to the revealed Messiah and that had a remarkably liberal view of Gentile admission into their community. I bolded “alongside” above to notify anyone who may be concerned that this perspective on Paul defines Jewish and Gentile roles and responsibilities within the ancient (and modern) Ekklesia of Messiah differently. How differently, we will discover as we proceed through the various reviews including this one. In this light, it’s small wonder that most non-Jewish (and Jewish) Christians in the Church revere Paul while most Jews consider him a traitor and revile him. I’d love to send a copy of this book to every Christian Pastor, Preacher, Minister, and Priest in America but I suppose it would do no good. As the old saying goes, “you can lead a horse to water…” I tried that on a much smaller scale some time ago by purchasing a copy of Rudolph’s and Willitts’ volume Introduction to Messianic Judaism: Its Ecclesial Context and Biblical Foundations and giving it to the Head Pastor of the church I used to attend, in the (vain) hope that such an august collection of scholars writing on the merits of a Messianic Jewish perspective would at least get him to consider changing some of his views. It didn’t work. He clung too tightly and too dearly to his Fundamentalist Christian “hashkafah,” as Boaz Michael puts it, and was unable to travel the distance necessary to view God, Messiah, and the Bible from a distinctly different, and in my opinion, a more Biblically sustainable, vantage point. If one might say that the latter oppose the New Perspective for being too new for their traditional theological positions to embrace, the contributors to this volume oppose it for being not new enough. …and the consistency of their answers with the fundamental views attributed to Paul in various traditional Christian theologies, not least the way that Jewish identity and Judaism are portrayed. …some oppose the New Perspective because it undermines the traditional view that what Paul found wrong with Judaism was its works-righteousness and legalism. Judaism was characterized by “covenantal nomism,” which recognizes the initial role of divine grace and of faith to initiate the relationship, but also perceives the consequent responsibility to behave according to the terms of the agreement into which participants have entered. More simply put, the Jewish people entered into a relationship with God by grace and faith and from that, agreed to a set of covenant conditions requiring a specific set of responses, that is, observance and performance of the Torah mitzvot. Unfortunately, “the ineluctable sin of arrogance at least since Augustine” has resulted in a radical distortion and refactoring of Paul, wholly removing him from his original context, and placing him in one that would have been completely foreign to a first century Jew, that is, Christianity. 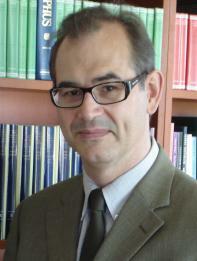 …the supposed sin of ethnic particularism, variously described and named. On the premises of the New Perspective, this “wrong” is assumed to be the necessary sin involved in celebrating and guarding the boundaries of Jewish identity and behavior, as if claiming to be set apart for God was inherently arrogant, mistaken , and evidence of bigotry. Not only does larger Christianity hold this viewpoint against those various streams of modern Messianic Judaism, but so does much of the Gentile Hebrew Roots movement. 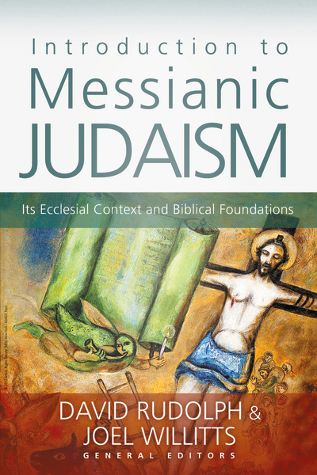 In Part 1 of a recent blog post, I quoted Carl Kinbar as stating he has hesitated to express such views of Jewish particularism for fear of inadvertently offending non-Jews in Messianic Judaism and the wider body of faith in Yeshua (Jesus). This also means that the “assemblies” that he (Paul) founded, and to which he wrote the letters that still provide the major basis for this research…were also developing their (sub)culture based upon their convictions about the meaning of Jesus for non-Jews as well as for Jews within Judaism. Of course, it needs to be understood that non-Jews finding the meaning of Messiah within a Judaism does not mean they become Jews nor does it mean, even remaining Gentiles, that they (or we) inherit the obligation of the Sinai covenant to observe the mitzvot. …even though many if not most of those who were joining these subgroups were and remained non-Jews. Moreover, if one postulates that Paul still observed Torah, as do Zetterholm and several contributors, then the idea that Paul dismissed it as obsolete or antithetical to the goals of Christ-following Jews is illogical. Zetterholm explains that Paul was not against Torah observance for Jews, including himself; rather, he was adamantly against the observance of Torah by non-Jews who became followers of Christ. We’ll have to wait until I read and review Zetterholm’s essay to get the full details of his perspective, but this statement does address what I mentioned above about a central view in much of Messianic Judaism, that there remains a distinctiveness between Jew and non-Jew in the Ekklesia of Yeshua relative to the Torah mitzvot and our specific responsibilities to each other and to God. However, since this Jewish “faction” drew in many non-Jews, who would naturally be thereafter practicing the Jewish norms of communal life, even if not under Torah technically as non-Jews, this led to various conflicting views about the standing and behavior to be expected of these non-Jews from within the movement and from those outside of it, to which Paul’s letters attest. And this is exactly what we find happening in Messianic Jewish communities today, particularly those containing a non-Jewish majority membership (which is the vast majority of Messianic Jewish synagogues in the United States today). This is another excellent reason to radically revise how we read Paul. If he knew the answer to the problems vexing non-Jewish participation in modern Messianic Judaism, we need to find out what they are. I hope so too, Chul. Christianity could use a good revival, but not in the sense most churches think. Hello, James. Thanks for replying me back… I am very saddened to read from your blog that Gene Shlomvich turned away from the Way and went down into Reform Judaism. I just cannot understand how this kind can occur though this seems to occur quite frequently..
I’ve been Messianic Gentile for last 3 years and have gone through a long enough trials and errors. I believe that there are many pitfalls and errors much within Messianic Judaism as much as the normative Christianity as well. I think by reading your blog I can tell I have gone through similar steps as yours. So, in this context of this, can you write something personal about the solution for the Church today and the Messianic Judaism? I just would love to hear from you and I really would love to hear all the sides of the argument as I am very worried about this Messianic Judaism movement and also the church. Love you in Yeshua Ha’mashiach and also bless you! Hi James, I’m excited about your review of this book. I recently read “Paul was Not a Christian” by Pamela Eisenbaum and am currently reading “Jesus and Paul before Christianity” by V, George Shillington, so this is right down my alley. I’ve purchased Mark Nanos books on Galatians and Romans and now I supposed I’ll have to part with a few bucks to buy this one too (they are pricey). But, like you, I recently purchased a Kindle Fire so I can save a few dollars that way. Keep up the good work. Blessings and shalom to you and yours. @Chul: Gene has to make his own decisions and do what he feels is right. All I can do is pray that Hashem goes with him and I’m sure He will. The journey of Messianic Gentiles can be highly varied and beyond a certain point, never particularly easy. We don’t fit in very well in most other religious traditions, but I believe it is the best way to study and to learn the actual teachings of the Master and the Apostles from within their own cultural, historical, and religious context. @Mel: So many books, so little time. I find a “real” book more satisfying, but digital books take up less space and tend to be more affordable.